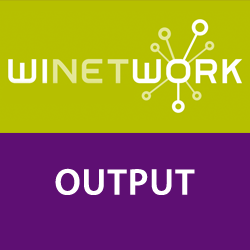 A training module is a tool intended to be used by ISS in their own training or advisory activity towards winegrowers. This training module is the #1 on the FD, and is composed by a power point presentation (that could be used by the ISS to train the winegrowers) and a quiz in order to asses the learning of the class. In addition a file is attached that includes all the matherial that could be usefull for the ISS in order to study the topic deeper. This particoular TM is focussed on FD symptoms and epidemiology.